University of Miami School of Medicine in Miami, Fla. Naval Medical Center Portsmouth in Portsmouth, Va.
University of Tennessee Medical Center in Knoxville, Tenn.
GI Pathology, PLLC in Memphis, Tenn.
Dr. Ingeneri was born in Natick, Mass., and completed medical school in Florida at the University of Miami. He then served in the U.S. Navy for several years and completed a clinical internship at the Naval Medical Center Portsmouth, Virginia. During his time on active duty, he was selected for specialized training as a diving medical officer, a program supporting the operations of Submarine Warfare, Naval Special Warfare (SEAL), Mobile Diving Salvage and Explosive Ordnance Disposal communities. Training was conducted in Groton, Conn., and required rigorous diving qualifications at the Naval Diving and Salvage Training Center, Panama City, Fla. Upon completing military service as the medical department head of Submarine Squadron 20, Kings Bay, Ga., he continued his education with a residency in anatomic pathology at the University of Tennessee Medical Center, Knoxville. Dr. Ingeneri completed an additional year of fellowship training in gastrointestinal and liver pathology at GI Pathology in Memphis. After working in the commercial lab industry in the Northeast, he returned to East Tennessee to join Gastrointestinal Associates as medical director of our GI pathology laboratory. 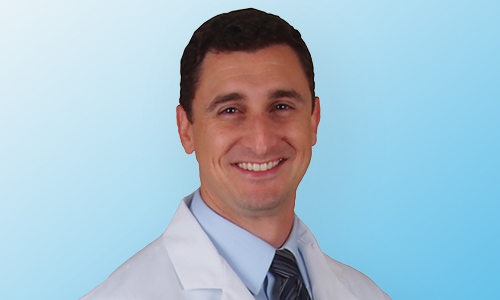 In order to deliver the best patient care, Dr. Ingeneri works closely with his gastroenterologist colleagues, providing diagnostic evaluation of patients’ endoscopic biopsies. Dr. Ingeneri enjoys spending time with his family on activities involving church, school and sports. He and wife Kristen have two children, Jack and Kate. Other personal interests include various types of sculpting and painting.